Rose Melberg’s new band Knife Pleats, debut album “Hat Bark Beach” Cassette Tape / LP coming Sept 29th, 2015 on Lost Sound Tapes. You know her from The Softies, Tiger Trap, Go Sailor, and Brave Irene, Rose is back with a new 4-piece band, featuring members of Love Cuts! This time around the songs are a bit heavier thematically but still maintain the signature sound that Rose has cultivated over the last 23 years. 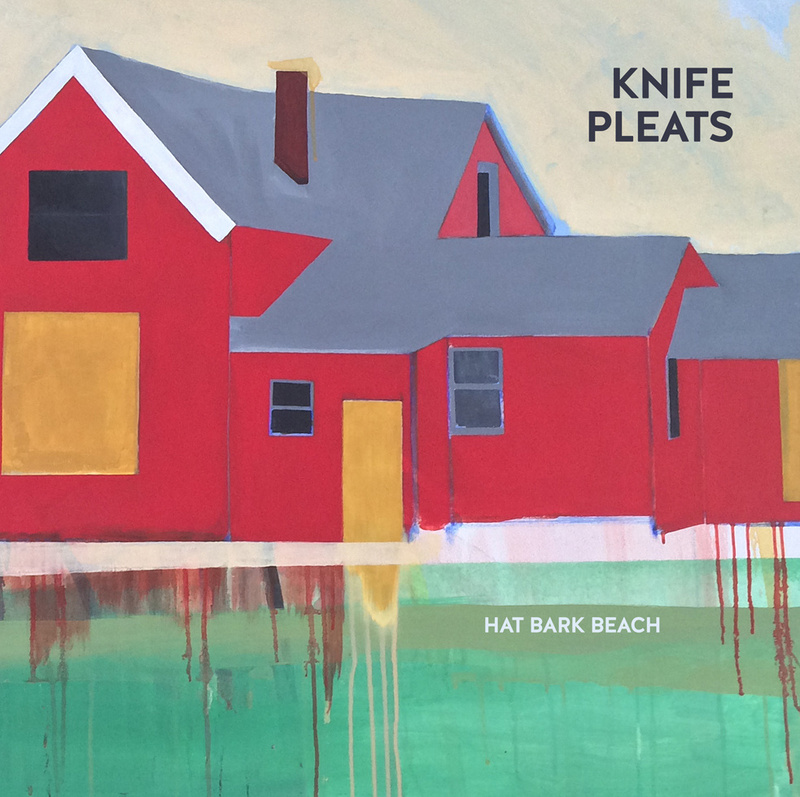 “Hat Bark Beach” is the 12-song, 26 minute debut album from Knife Pleats that’s full of melody, hooks, and an underlying darkness. The album was recorded in April and May of 2015 by David Carswell at JC/DC and at the home studio of Knife Pleats drummer Gregor Phillips. Lost Sound Tapes will be releasing the vinyl and cassette tape editions of the album. It marks the first time in the ten years of LST that we’ll be releasing an LP that’s not a co-release with another label (like the Solid Home Life LP and iji “Soft Approach” LP). The vinyl LP is being released in an edition of 500 copies on black vinyl, pressed at Cascade Record Pressing in Portland, Oregon. Cassette edition will be limited to 100 copies. Jigsaw Records will be releasing a CD and WIAIWYA in London will be releasing an LP edition for European folks. It will all be released on September 29th, Rose’s birthday! Lost Sound Tapes is a cassette tape record label, based in Cascadia focusing on high quality lo-fi music. Artists include Rose Melberg, Blanket Truth, Your Heart Breaks, iji, and Watercolor Paintings.